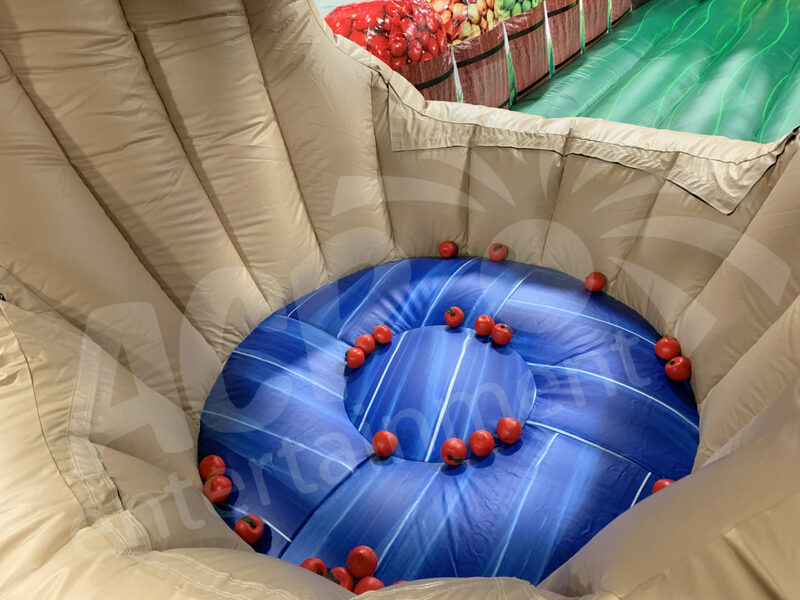 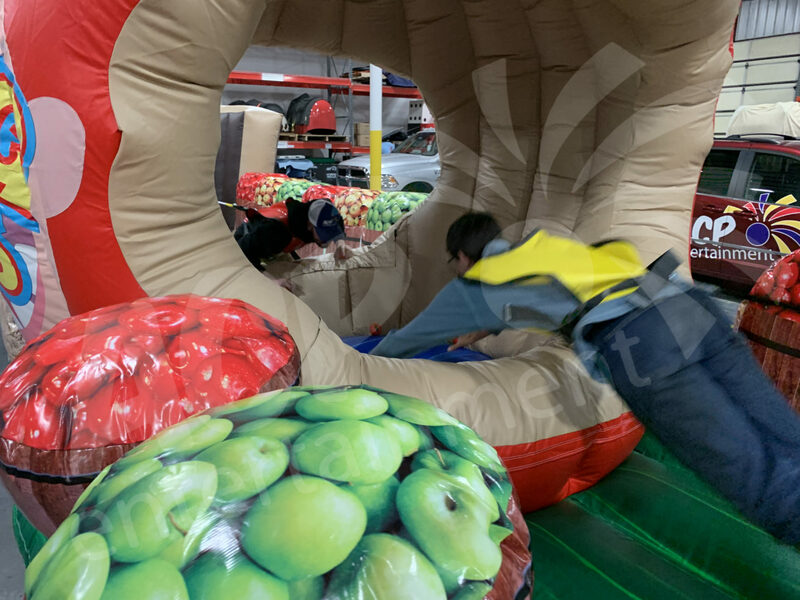 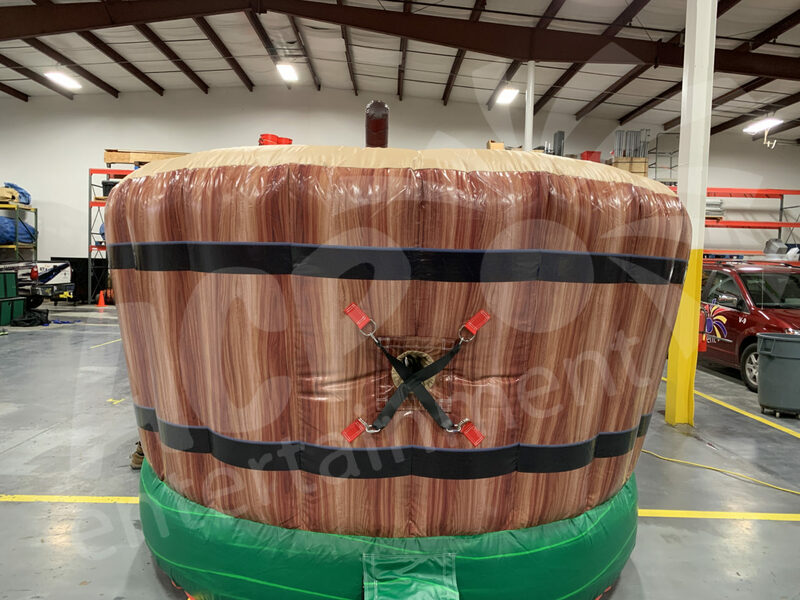 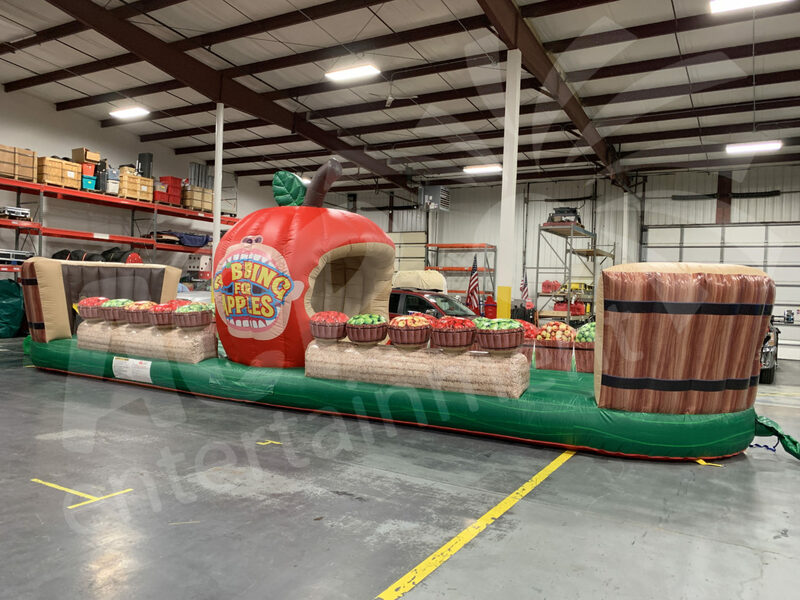 Just like our incredibly popular “Hippo Chow Down” inflatable interactive, the Bobbing for Apples game has 2 players run to the center of the inflatable and grab apples and bring them back to their basket. 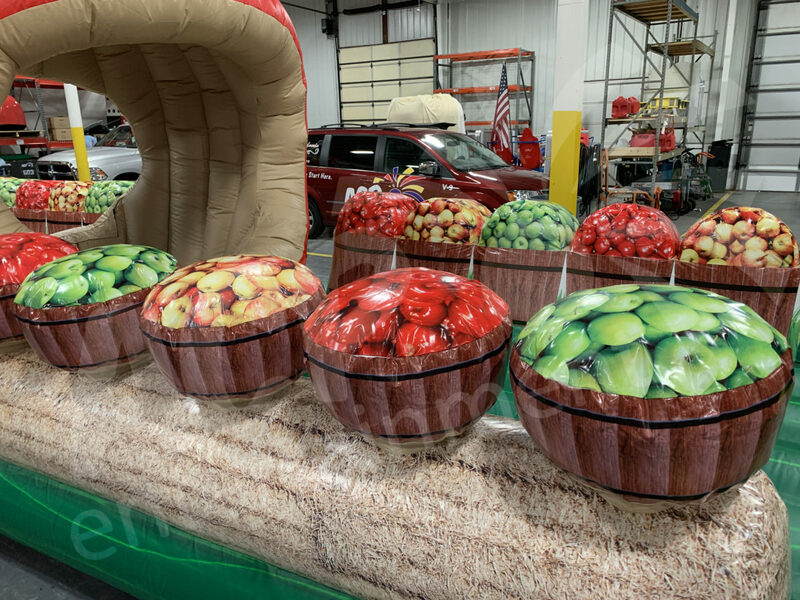 The player with the most apples in their basket wins! 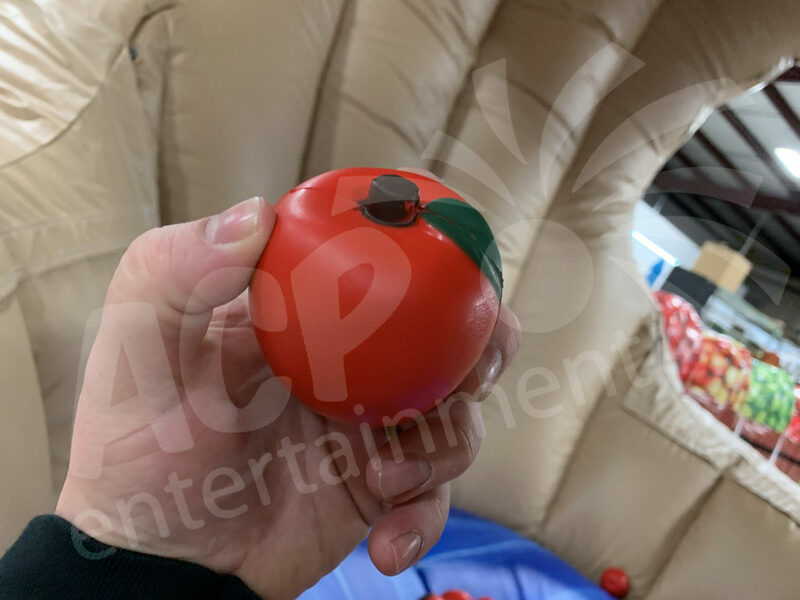 Now of course the apples aren’t real, they’re essentially a stress ball apples and theres about 30 apples in the center of the arena. 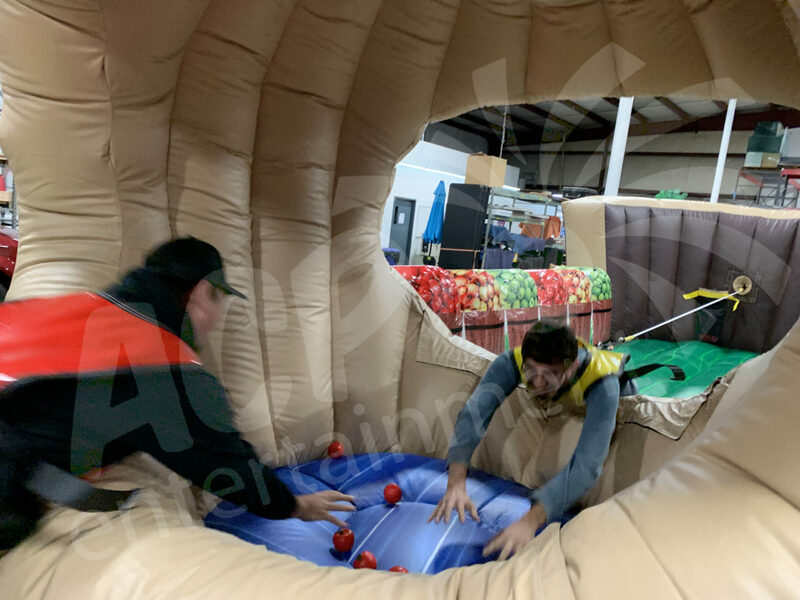 Unlike Hippo Chow Down, this game is a 2 player instead of a 2 player game and is half the size of the Hippo Chow Down game meaning it can fit better in smaller places. 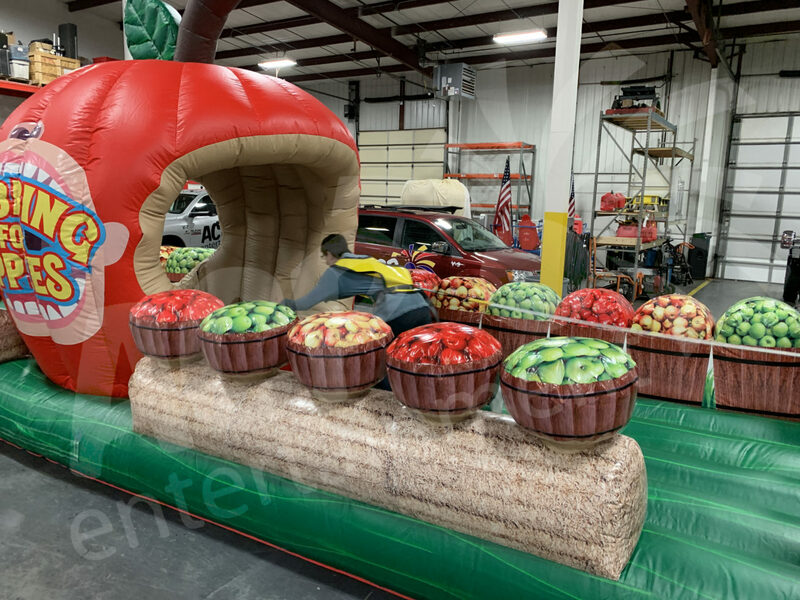 It’s also an awesome theme and perfect for Fall festivals! 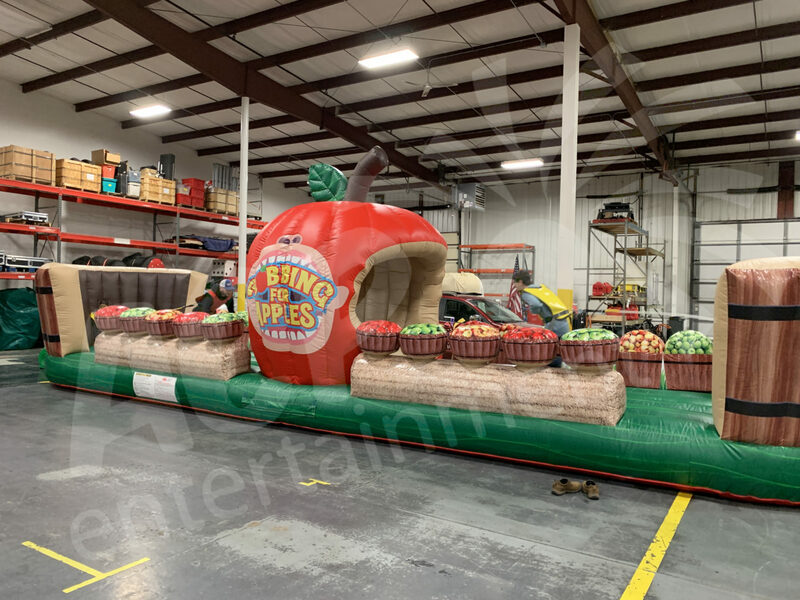 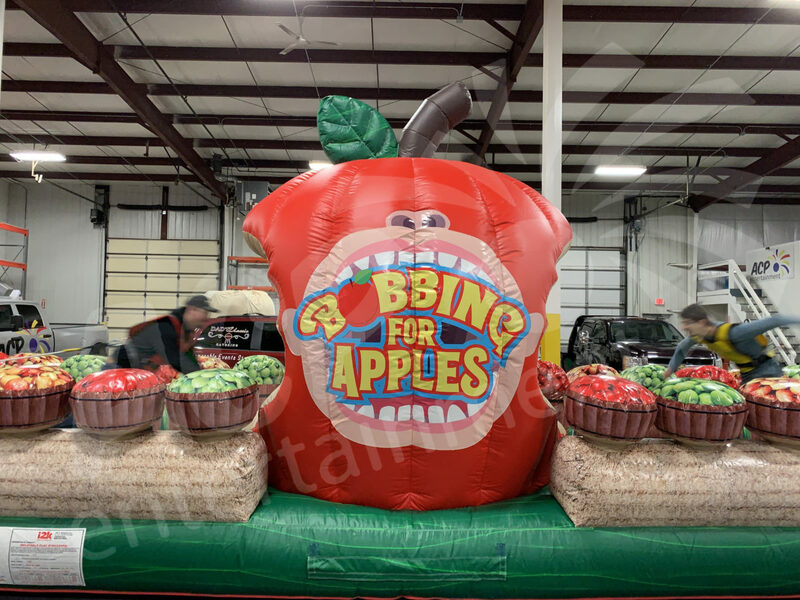 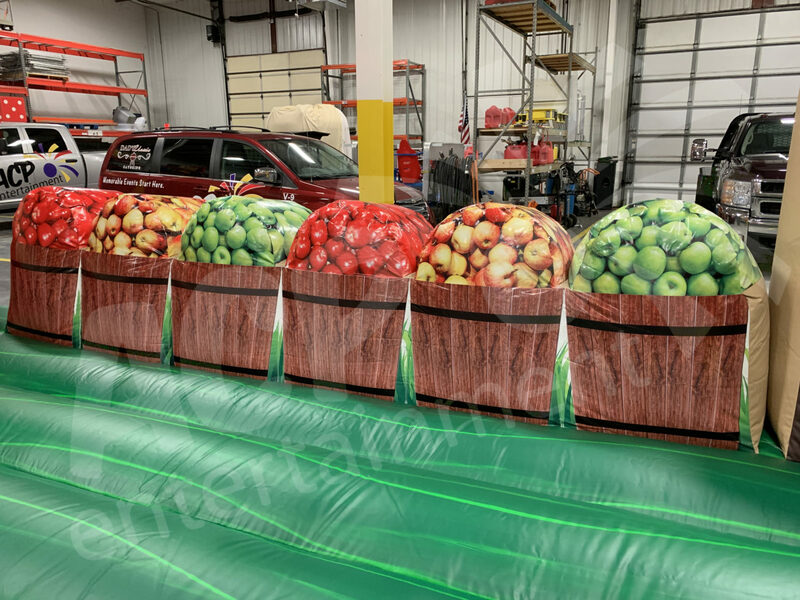 Give us a call today to rent Bobbing for Apples for your next event!